Goblet Candle Holder & Vase - "Mariah" Chrome Silver Finish 17 3/4"
Our new Silver Pedestal Cake Stand "Allesandr" with Genuine Crystal Beads and Pendants is not only spectacular as a Wedding and Event Dessert Stand but it also makes a magnificent Decor Centerpiece Riser! 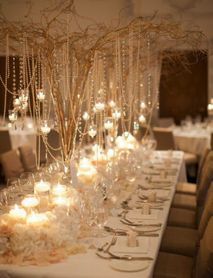 This multi-functional pedestal with hanging crystal prism strands is very impressive! Allesandr weighs 5 lbs., is 26 1/2" tall and the top platform is smooth, shiny silver, 7 3/4" in diameter. 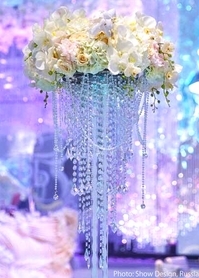 This riser is awesome for floor displays as well as table Decor but what really grabs the eye are the incredibly luscious crystal prism strands! Our crystal beads are real crystal, not acrylic and they are faceted on all sides. You will find sellers who "sneak" in plastic beads or mix acrylic with glass beads. We are fanatical that this is NOT done on our products. 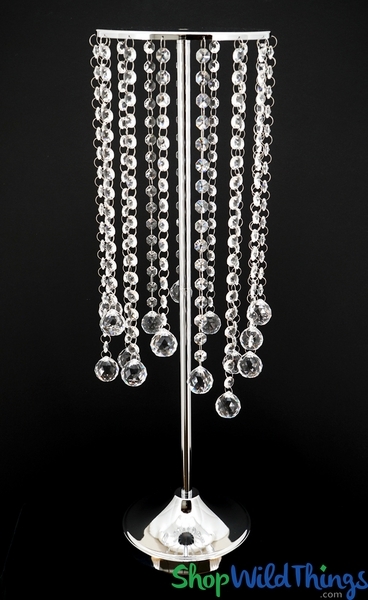 The clarity of our beads is outstanding and there are 3 different lengths of strands: 14", 15 1/2" and 17 1/2" and these cascading lengths create a striking visual display! At the end of each strand is a 1 1/2" long crystal drop that's completely faceted and just a little bit of light produces an awesome effect! 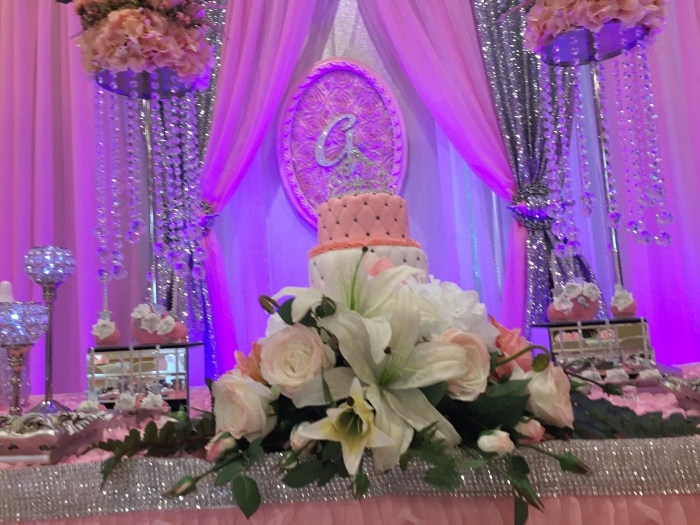 For tabletop use, Allesandr will showcase cupcakes, a small cake and desserts like no other pedestal can! 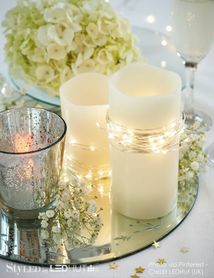 As a floor or tabletop display, you could top Allesandr with an LED light saucer and place a floral filled glass vase on top. We have a wide variety of Prestige Crystal Gem and Silver Candle Holders that look extraordinary on this riser and of course LED flameless candles always create a classy look. You could also attach a strand of fairy string lights to the underside of the riser platform to downlight the crystal strands. Dazzling! Better than expected. The crystals are beautiful, with nice weight and faceting.